Spring has sprung, like or not. 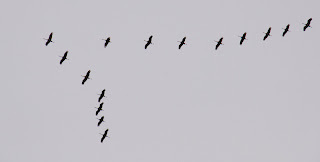 Watched a few hundred Sand Hill Cranes fly over Ranger's Marsh yesterday. Heading north by northwest. Lots of migratory Canada geese and ducks using the marsh, also. The Sand Hill Cranes are migrating north to their breeding grounds in Canada and the northern US. 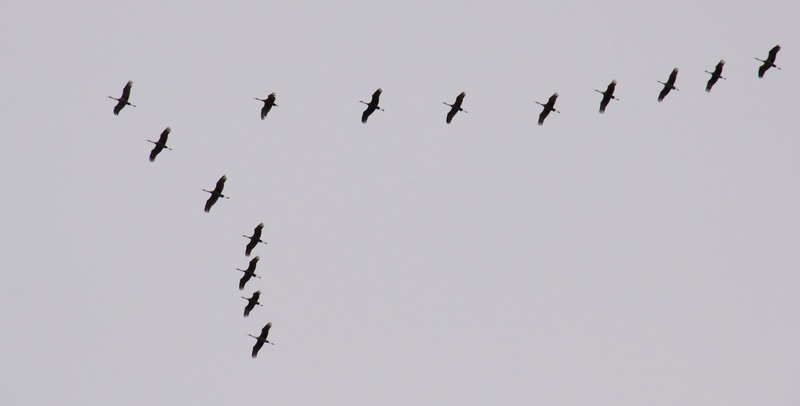 Sand Hill Cranes over Gary, Indiana, flying north by northwest. After watching the spring migration, I went home. While walking from the car to the house, I saw a brown comet streak through the air just outside of my fence and I hear the leaves rustling in the lot north of me. 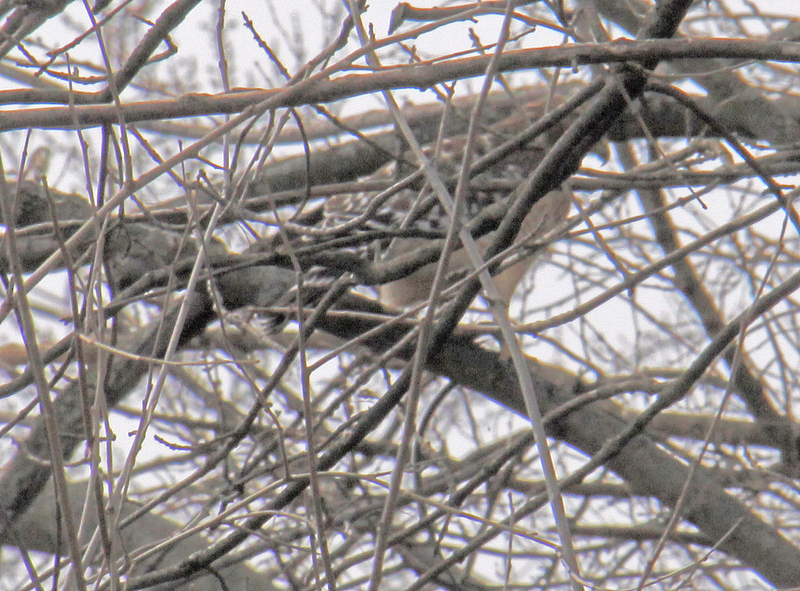 It was a Cooper's Hawk on a dinner dive. I had heard one calling a couple days, this is the first one I've seen. I put down my coffee cup and unlock and load my camera. 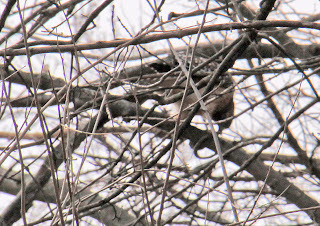 The hawk flies up and into a tree with its lunch in its talons. Whatever it's caught has a wide tail, what could it be? No squeals, so not a rodent. I've seen them catch lots of snakes but the temperature is just above freezing, too cold for snakes. 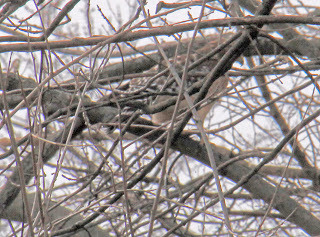 After another short flight deeper into the canopy of the oaks. The hawk kills its prey. I'm still waiting to see what the hawk has taken. 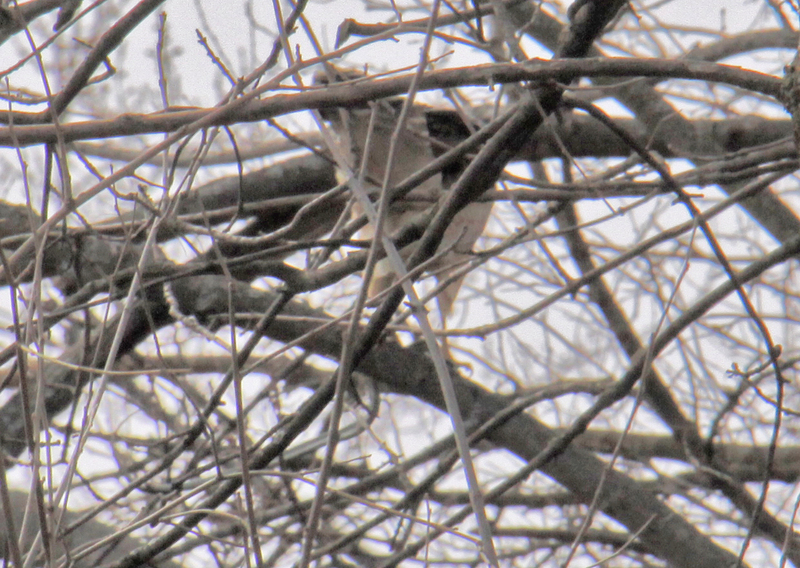 The Cooper Hawk had caught a Garter Snake. 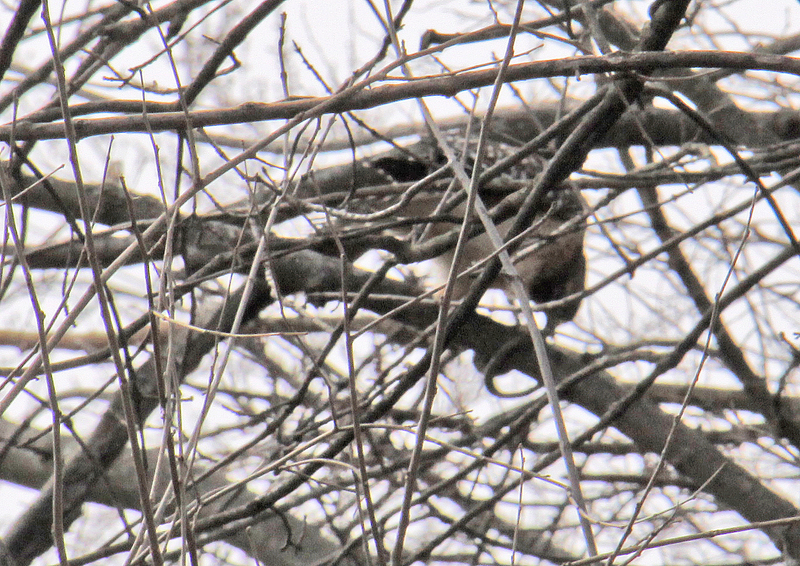 In the middle of the pic above, below the large tree limb that the hawk is perched on, you can see the blueish-gray belly of the snake hanging down and curling to the left. I am wrong again, it's not too cold for the Garter Snakes to be out and about. Spring Has Sprung!